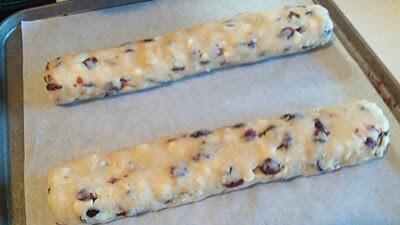 Preheat the oven to 375° F and grease a cookiesheet or line with parchment paper. In a bowl, beat together the oil, eggs, sugar and flavoring until well blended. 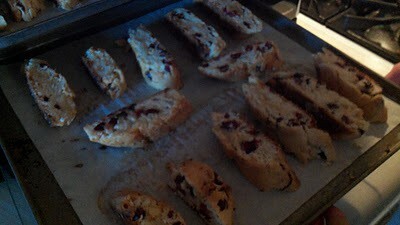 Combine the flour and baking powder, then stir that into the egg mixture along with the craisins to form a heavy dough. 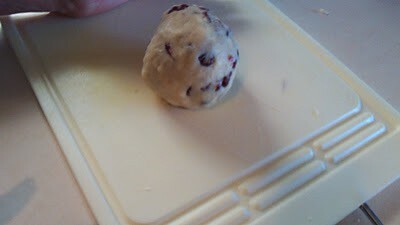 Divide the dough into 2 even pieces. 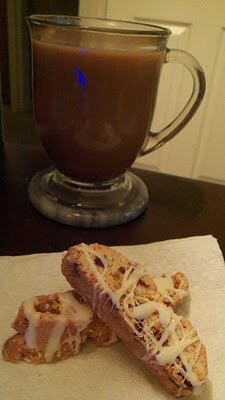 I needed 3 pieces because I use my smaller convection oven for these. Form each piece into a roll as long as the cookie sheet, then place it onto the prepared cookie sheet and press down to 1/2 inch thickness. Bake for 25-30 minutes in the preheated oven until just golden brown. 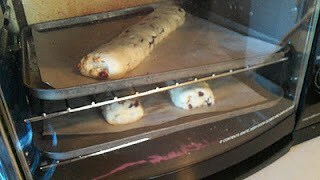 Remove from the baking sheet and cool on a wire rack JUST until they are cool enough to handle. DO not wait too long! 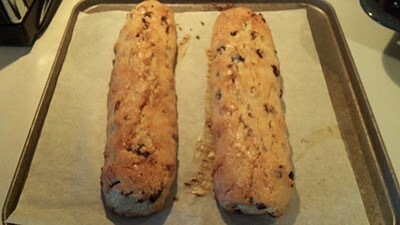 Slice each log into 1/2″ slices and place cut sides up/down back onto the baking sheet. Bake for an additional 5-10 minutes per side until slightly toasted. Allow to cool completely on a wire rack. 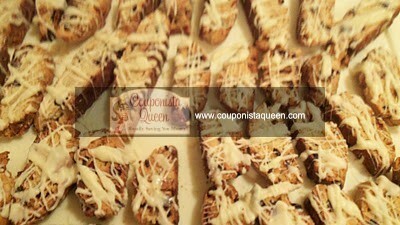 Drizzle with melted white chocolate if you like.